Collect and display all Minecraft pop vinyls! In the wonderful world of Minecraft, an Ocelot is one of the more passive and nervous characters. Whilst it will sprint away when a player gets too close, this one will keep the Creepers away as you display it at your bedside! 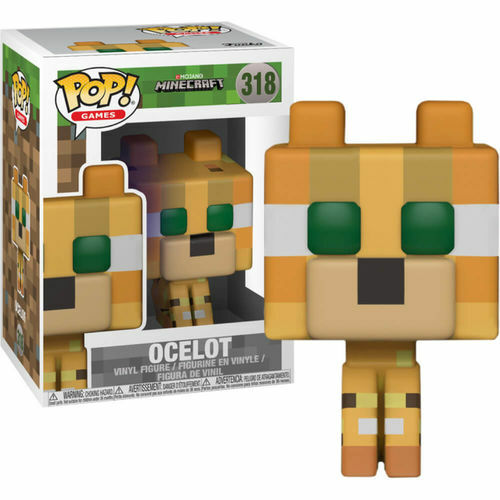 So test your taming skills and re-live your favourite memories from the game with this Funko Pop Vinyl jungle cat. It's the perfect addition to your Minecraft collection. Standing around 9cm tall, your Ocelot figurine comes packaged in a window display box.